Following further reports of seismic activity around volcanoes in Iceland, scientists from the University's Department of Meteorology provide comment on the likelihood of an eruption - and how any ash plume could disrupt air travel in Europe. During and after the 2010 eruption of Eyjafjallajökull, Reading scientists have been working with the UK Met Office and Icelandic Met Office to improve methods to measure and predict volcanic ash plumes, to reduce the impact on aviation, and the wider economy, if such an event occurs again. "The activity beneath the Bardarbunga volcano in Iceland may have resulted in lava reaching the land surface below the icecap south of the volcano, but there is no current concern about ash disruption to air travel." "Over the last few days the magma has been detected by seismometers moving northwards at a few kilometres per day. This could lead to a number of possible scenarios, based on experience of previous events in Iceland in the area around Bardarbunga. These scenarios involve the sideways movement, or intrusion, of magma in the crust away from the volcanic centre, sometime known as rifting. "The magma could continue to move sideways, but might never reach the surface in an eruption. Alternatively, the magma could erupt at the surface intermittently through a series of fissures several kilometres long. This could go on and off for several years, as happened from 1975-1984 at Krafla volcano, considerably north of Bardarbunga. They would be relatively harmless, as this region is far from human inhabitation and would cause very little ash to be thrown into the atmosphere. These are the two scenarios which are the most likely to occur. "However, it is also possible that the current path of the intrusion could take the magma northwards to the Askja volcano. There the presumed very fluid basaltic magma could interact with much stiffer rhyolitic magma, to produce a large explosive eruption, which is probably what happened to produce the major ash cloud of 1874. If it occurred again, it could be disruptive to European air traffic if the winds are coming from the north." "The travel disruption in Northern Europe caused by the eruption of Eyjafjallajökull in 2010 was caused because winds carried a plume of volcanic ash across European flight paths and over major airports, including Heathrow and Gatwick. "If the Bardarbunga volcano erupts, throwing massive amounts of volcanic ash into the atmosphere, the UK will be at the mercy of the wind. "Of course, no-one knows for certain if and when this volcano is going to erupt. When it does, we do know that the UK is much better prepared now to monitor and predict where the plume is going to go, thanks to the collaborative efforts of scientists here in the UK and in Iceland. This should help aviation authorities to minimise any travel disruption that might ensue." 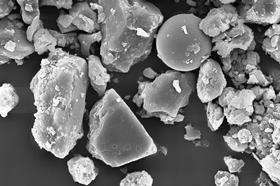 "Volcanic ash is made of tiny pieces of sand and minerals, blasted out from an erupting volcano, which are then suspended in the atmosphere and transported by winds. "Volcanic ash is a hazard to aircraft, because of sandblasting of the outside of the plane and because particles are sucked into the turbines where they can melt and disable the engines. For that reason, aviation authorities impose a limit on the maximum concentration of ash aircraft can fly through. In the UK, the current limit is 4 mg per cubic metre." How do scientists measure it? "Detection of volcanic ash plumes is primarily based on satellite and ground-based instruments. Satellites give a picture of the extent of the plume, but are less useful to work out how high or low the plume is in the atmosphere. Ground-based instruments, such as lidars - lasers shot vertically into the sky - are able to give the altitude of the plume, and an estimate of its concentration, over the locations where they are installed. "Numerical models, which simulate the dispersion of the ash plume with winds and its removal from the atmosphere, are used to forecast the location and extent of the plume. "Following the eruption in Iceland in April 2010, the Met Office, which is one of nine Volcanic Ash Advisory Centres around the world, deployed a permanent network of lidars to cover the British Isles, and also has a dedicated research aircraft which can fly through plumes to take measurements. The Met Office dispersion model, called NAME (Numerical Atmospheric-dispersion Modelling Environment), has also been improved. This should provide a better picture and forecast of where any future volcanic ash plume exists, and where it is headed." Are there risks to health? "People with health conditions affected by pollution should not be overly worried. Compared to local sources of pollution, such as dust particles from car exhausts, the impact of the volcanic ash is limited, because it tends to exist mainly high in the atmosphere and is not around long enough to cause problems." "During the eruptions of the Eyjafjallajökull and Grímsvötn volcanoes in Iceland in 2010 and 2011, the UK government asked the University of Reading's Department of Meteorology to work with the Met Office on measuring and modelling the dust cloud, which closed UK airspace for several days. "Since then, Reading scientists have been working with the Icelandic Met Office to test new sensors for weather balloons, aimed at measuring volcanic plumes emitted near to their source in Iceland. These instruments could provide a new source of information for calculations predicting the spread of a plume, and have been developed from our previous balloon measurements during the Icelandic eruptions of 2010 and 2011. This work contributes to a more sophisticated system for detecting and predicting how any future volcanic eruption could affect aviation, particularly for the UK."